Earned three degrees: the first at Chennai, Loyola College, an Honours Degree in Commerce at age 21; the second, a Master's Degree in Development Economics from the Williams College, Williamstown, Mass. USA at the age of 31 and the third A doctor of Philosophy in Economics at Jadavpur University at the age of 45, on the subject of World Bank Assistance to Indian Agriculture. Was Collector of Burdwan and Darjeeling Districts in West Bengal State in the 1960's, responsible for their all-round development. Worked with the Government of West Bengal and Govt. of India as Secretary to Governments for 20 years mostly on Agricultural Development. Was the Commonwealth Advisor to the Govt. of Papua New Guinea on Aid Coordination for three years (1977-80) and trained the national officers and wrote a manual on the subject. Wrote a book on Agricultural Development in 1975 and several reports. Headed the Technology Mission on Oilseeds, in the Ministry of Agriculture with responsibility to enhance the oilseed production growth rate from 2% to 5% annually, but actually succeeded in enhancing it by about 10% between 1987 and 1990. Was awarded the Norman Borlaug Gold Medal for "Outstanding Services to Indian Agriculture". on the advice a jury, headed by the noted Agricultural Scientist Dr. M S Swaminathan. Worked as Director of the Policy Think Tank: the Institute for Social and Economic Change, Bangalore for five years, 1993-98. It was at the time adjudged as one of the best four in the country. by the Indian Ministry of Finance. Edited a 290 page volume, highlighting the Socio-economic research carried out at the Institute during the 25 years of its work. Worked as Consultant to the World Bank on two projects in India on Agricultural Research and Extension, on two projects in Kenya on fertilizers and oilseeds, once in Ethiopia for evaluating the implementation strategy of a $600 million dollar socio-economic rehabilitation project. Also worked as Leader of a 17 member team in 1999 to prepare a $350 million farm development project in Tanzania, with the world Bank financial support. Worked as consultant to the commonwealth Secretariat, London, in 1998-99 to evaluate the impact of its assistance to nine Developing Member Countries in the South Pacific. 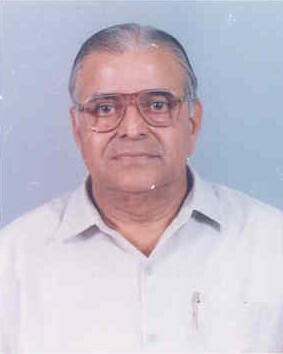 Member of the Board of IDBI Bank Ltd., Mumbai for 8 years ending 2004. Currently (2008), Member of the Boards of the Institute for Social and Economic Change, Public Affairs Centre, Public Affairs Foundation and National Institute for Rural Banking, all situated at Bangalore. Chairman of the Research Advisory Council for two ICAR Institutes situated at Pusa, delhi, namely Indian Agricultural Statistics Research Institute (IASRI) and National Centre for Agricultural Economics and Policy Research. Also, member of the Quinquinnial team of the aforesaid National Centre. Also member of a Study Team appointed by the Union Ministry of Finance on Agricultural Indebtedness.